Desert Foothills Air Conditioning & Heating Inc is proud to serve the Terravita community! 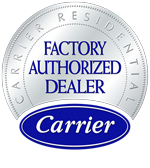 About Terravita, AZ - Happy to be your hometown Heating & Air Conditioning Contractor! 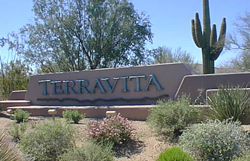 Terravita is a gated community located in Scottsdale, Arizona. This community consists of 823 acres of area and 23 neighborhoods. It is known for the native fauna and flora, and some of the signatures include flowering cacti, lava rock, and saguaros. This community was developed in 1993, and the name stands for creating the harmony of life and land. The climate of Terravita and the city of Scottsdale is arid with extremely hot summers and very mild winters. The Terravita community is known for its country club dining and private golf club. Residents and visitors to this area enjoy a fitness center, trail system, spa, pool, and tennis courts. Residents also have a variety of activities to choose from, including travel groups, seminars, workshops, bridge groups, book clubs, and art league, along with a variety of other special events.